Former foster Stella had her first Christmas in her new forever home. So happy she has joined us. 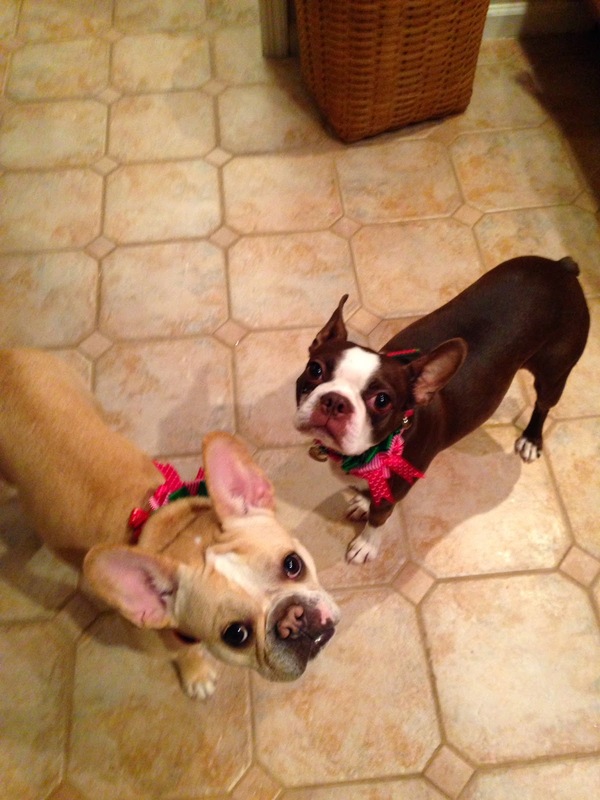 She and her sister Lucy wish everyone a happy and healthy 2015! and attention, sometimes for the first time in their lives. 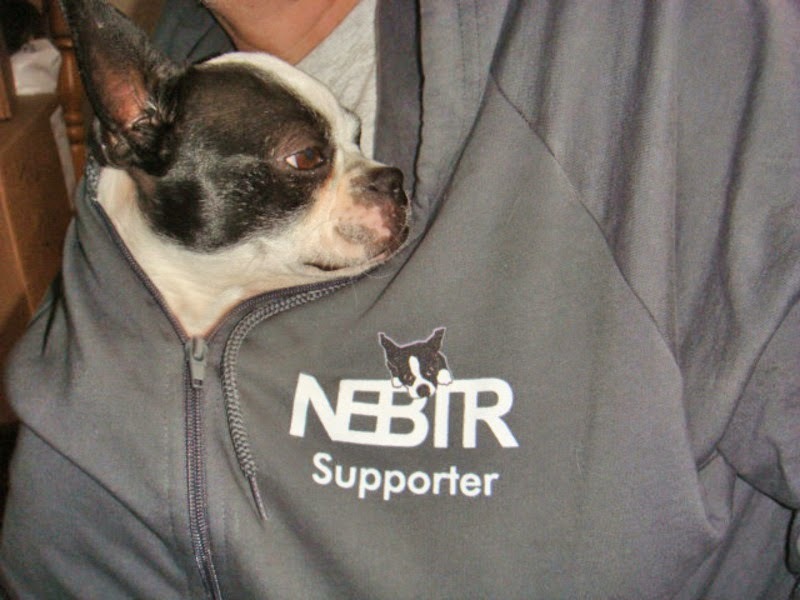 donations received will be given to NEBTR. write a personal message in the card. cards and quiet money to the address below by February 10, 2015. Terriers and the home bound community. Lang Syne Says Thank You! Thanks to everyone who sends us donations and Wishlist items for our new foster welcome packets!!! 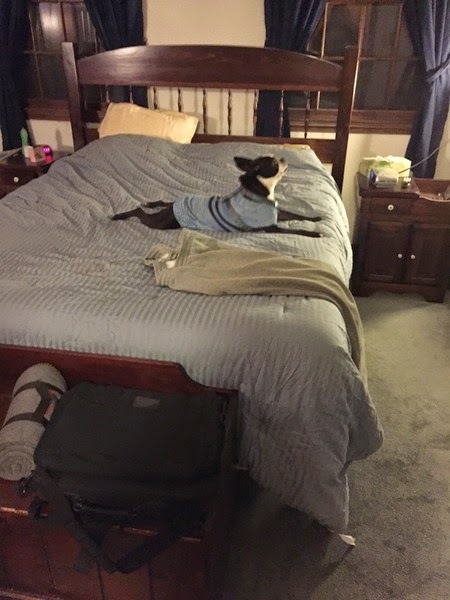 My former foster Mosby loving life &keeping warm in his forever home! Rosie came back home last weekend. It became very clear to me that her health has declined over the last 3 month. Rosie suffered from multiple issues. IBD, losing protein in her stool, a slow growing brain tumor that started causing seizures. It seemed my last gift to Rosie was to let her go. Rosie went to the bridge at 1:15 yesterday. I miss her so much. 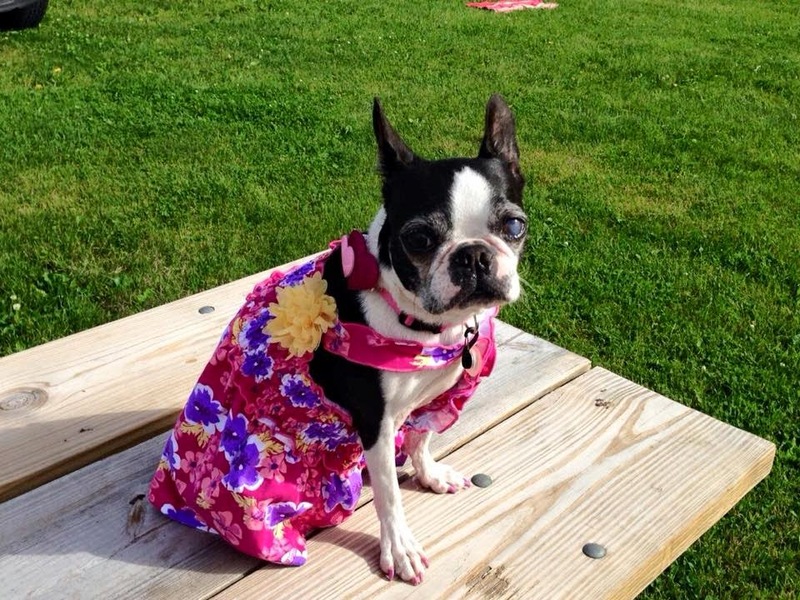 She was a true Boston lady. I am so very sorry for your loss, Conny. Rosie was lucky to have had you in her life. 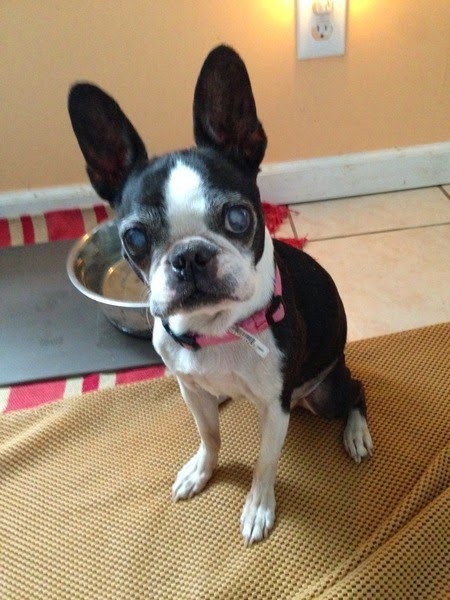 Your memories of Rosie will help you through this difficult time. 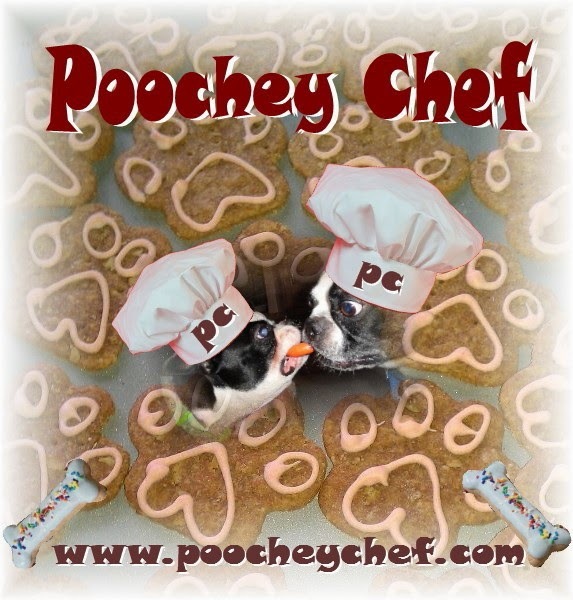 From our Doggy Chef Kitchen we offer Amazing Homemade Dog Treats specially made with your Pooch's happiness in mind. Our own little pooches eagerly supervise and taste test everything we produce. 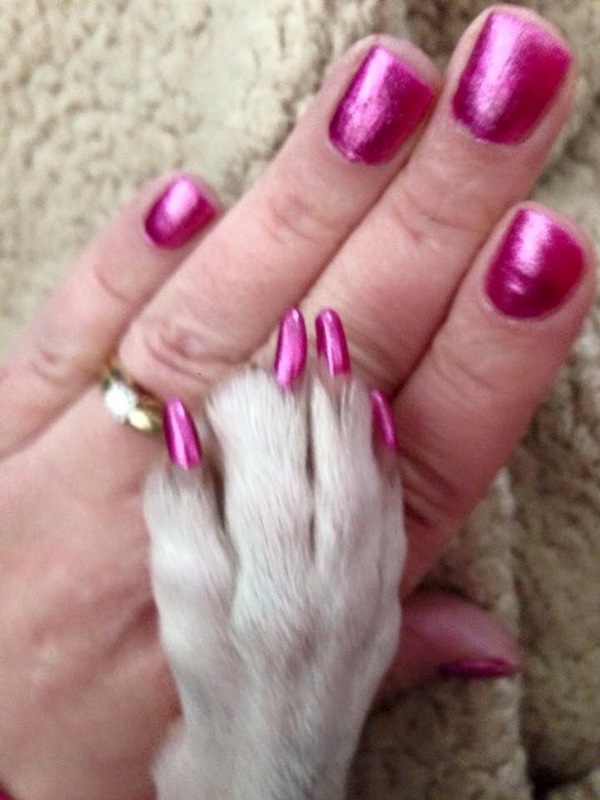 They have given our treats a paws up! 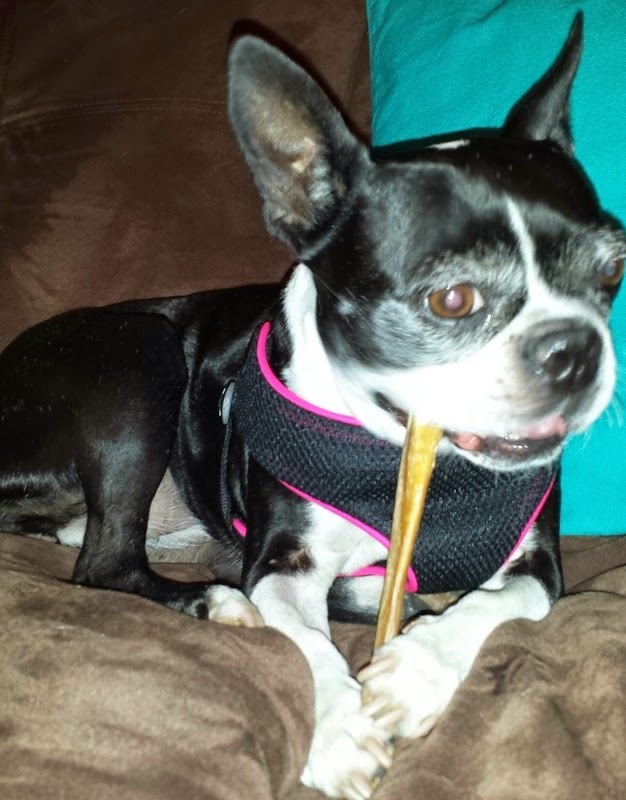 We offer Dog Treats for the Small, Medium and Large Dog. Our Treats include Snickerpoodles, Peanut Butter Banana Drops, and Dried and Sweet Potato Chips. We also offer Doggy Treats that have been dipped in yogurt and gently sprayed with yummy sprinkles. Put an extra wag in your Dog's tail and order these Treats today! While here browse our amazing Dog Bowls, Bows and Accessories! 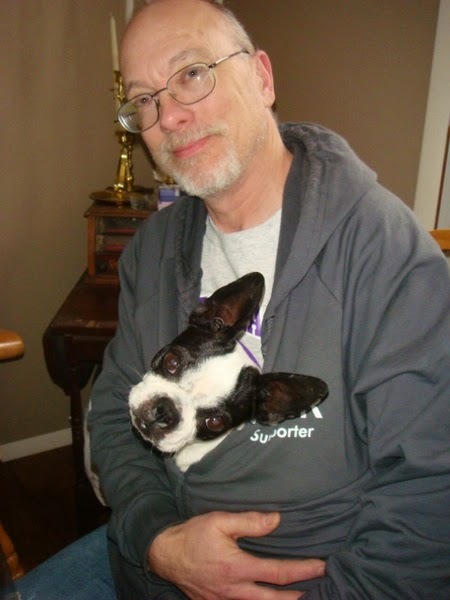 I rescue Boston Terriers and started baking my own treats for my pups a few years ago. My dogs loved them, my neighbor's dogs loved them, and the trail just continued! I was thrilled to have so many pups enjoying my treats! All of my treats are baked fresh and have a lot of natural ingredients too! I am always here to answer your questions, feel free to message me, I would love to help you choose the perfect treats for your best friends! I love what I do and I hope you will love it here too! Penny and Rocco growing up together. 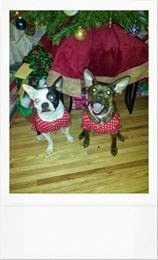 Their first Christmas. This save happened Jan 3rd, a wonderful day today for Captain America! 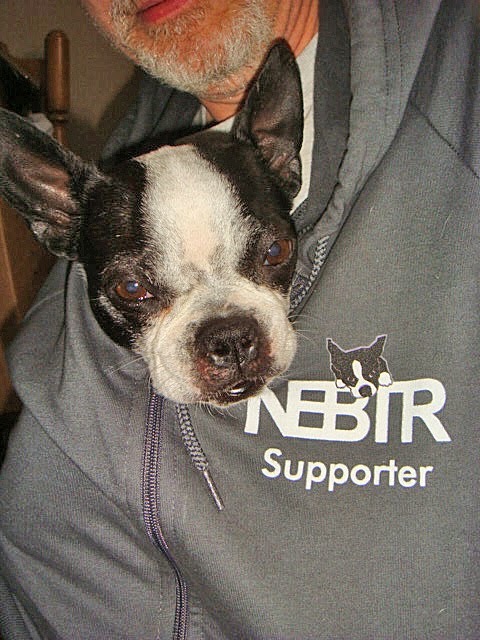 When you are a stray 12 year old, blind, deaf stray, intact Boston Terrier in the Fayetteville NC shelter, your future can look pretty dim. Actually, down right fatal. 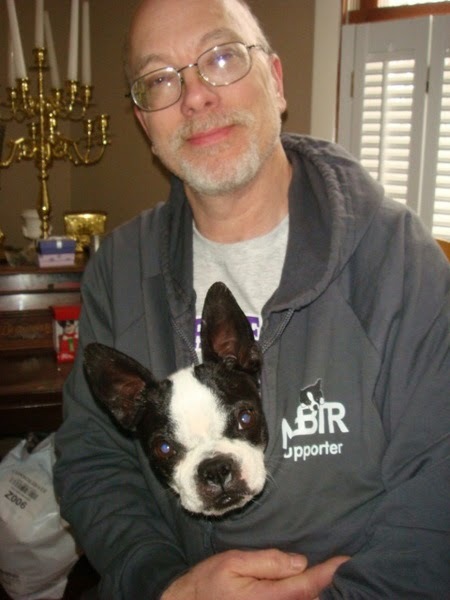 When you are a stray 12 year old, blind, deaf stray intact Boston Terrier in the Fayetteville NC shelter, AND you catch the eye of Loretta Dolan, you just won The Boston Terrier Lottery! Thank You to Marcus Williford (BTRTOC) who grabbed Captain America yesterday and had him vetted and provided an overnight slumber party! 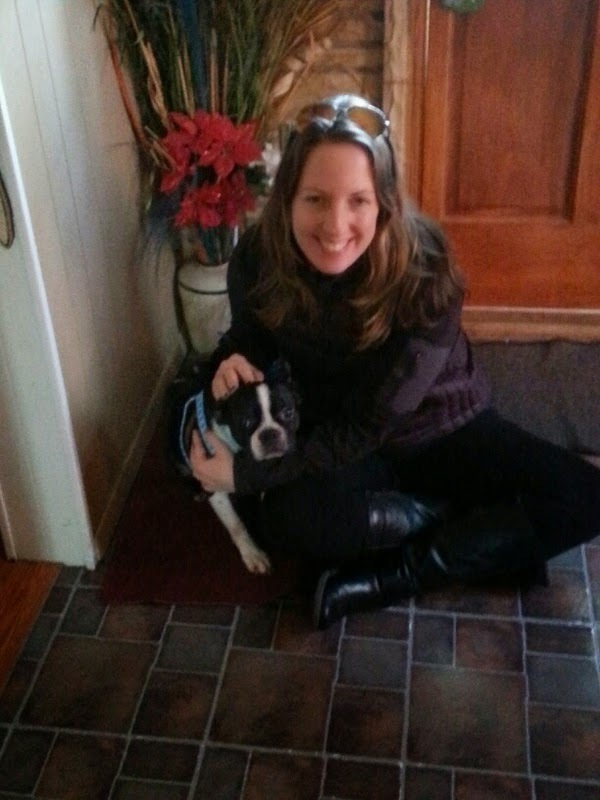 Marcus donated a brand new collar, leash, microchip and ID tags - Thank You Marcus! Then a Huge Thank You to Marcus Williford, The Cat Rescue, Bennie Pressley and Lyda Barnes (who donated a Beautiful brand new Blankie! ), Aone Plumbing's Fabulous son, Devon, and Daughter and Loretta Dolan who transported Captain America from Fayetteville to NJ - 10+ hours today. I suspect this sweet Senior Gentleman has never had anything to call his own nor had as much attention and Love as he did today. Just the start, Captain America, of your New, Amazing Life! I am telling you that I have Amazing Friends who made this transport work - Thank You All! 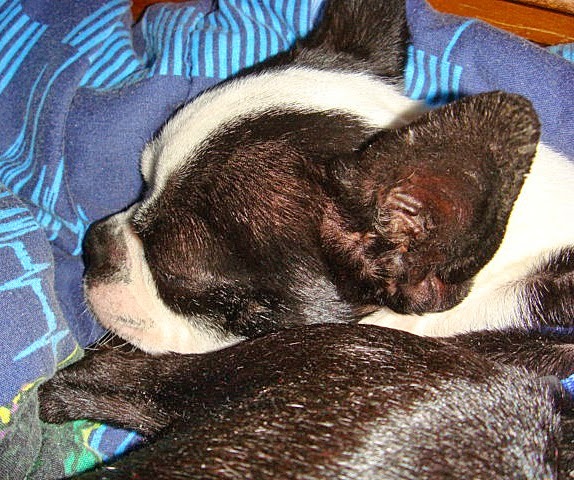 Shhh - don't tell him but he is getting a medicated bath tomorrow. 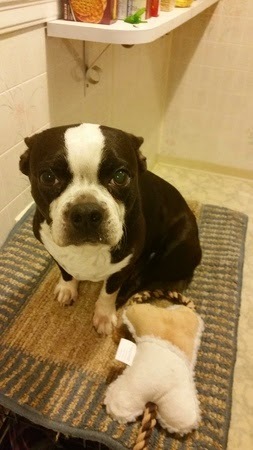 We think this Sweet Southern Gentleman is a former puppy mill Boston who spent his entire life outside. Doesn't she look like the dog on the NEBTR logo? Found a recipe for dogs. It had some items in it that are not good for dogs, so....I changed the recipe around, and came up with this version. Preheat oven to 350°F. Lightly grease two cookie sheets with olive oil. Combine all ingredients in a mixer or blender. This recipe also whips up easily by hand! Split the mixture between the two cookie sheets, and then pat down so the dough has a flat surface. Gently score your curry cakes with a pizza cutter or sharp knife. Bake for 20 to 25 minutes. Look for golden edges. Let the cakes cool completely before removing from the cookie sheets – be extra careful, as these cakes crumble like crazy. 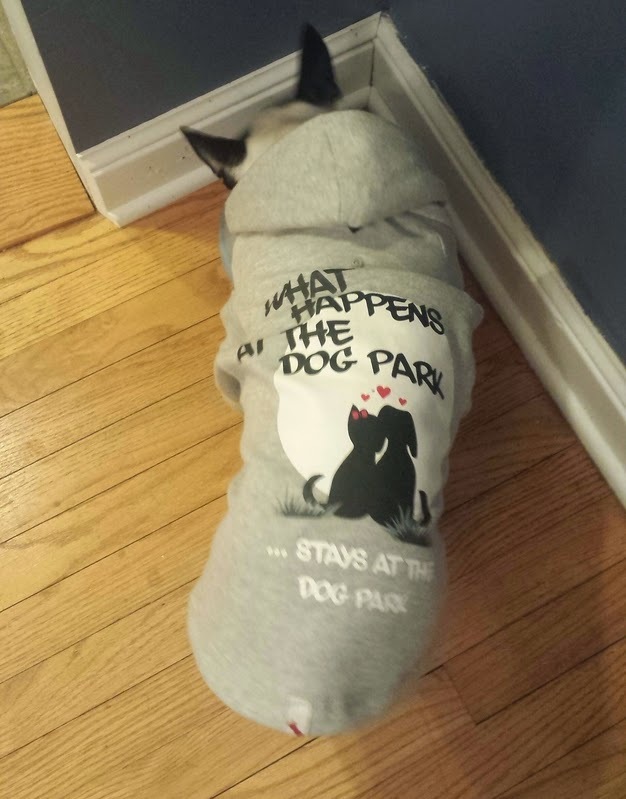 Not that the dogs will mind. These cakes store well in containers, and freeze well. This recipe can easily be split in half and coconut flour used in combination with other whole flours, but if your dog has allergies, it's best to stick with the coconut flour. BJ's Wholesale Club sells it, as well as Amazon. Pittsburgh is getting our first real snow of this winter and Chubby is absolutely hating it. She definitely likes spoiled life. She entered foster care at 17.8 lbs. Last week at the vet she had gained 2lbs! She definitely likes the food in her foster home! Oh wow! Seems like she loves to be pampered! What a sweet girl! 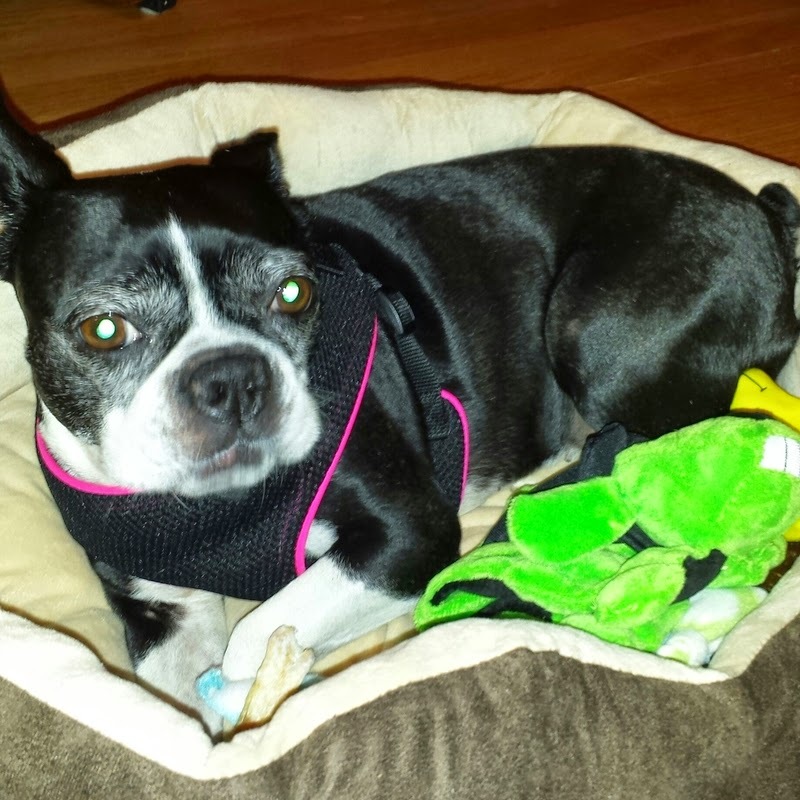 Welcome 3 Yr old Waffles to the NEBTR foster family! Po and Ty say "Thank you soooo much" to Mugsy and Lindsay (Reese) and Chester, Jake and Dallas (Conway). They were very excited by the wonderful gifts they received from their Santas! 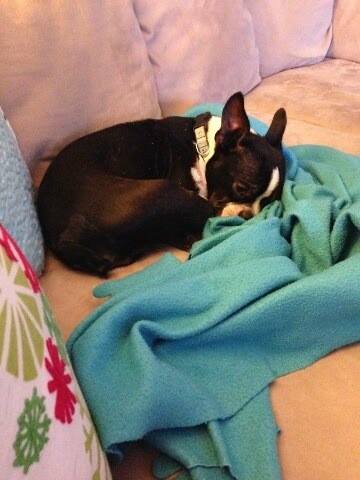 Just received a photo of one of the pups that Velvet had. 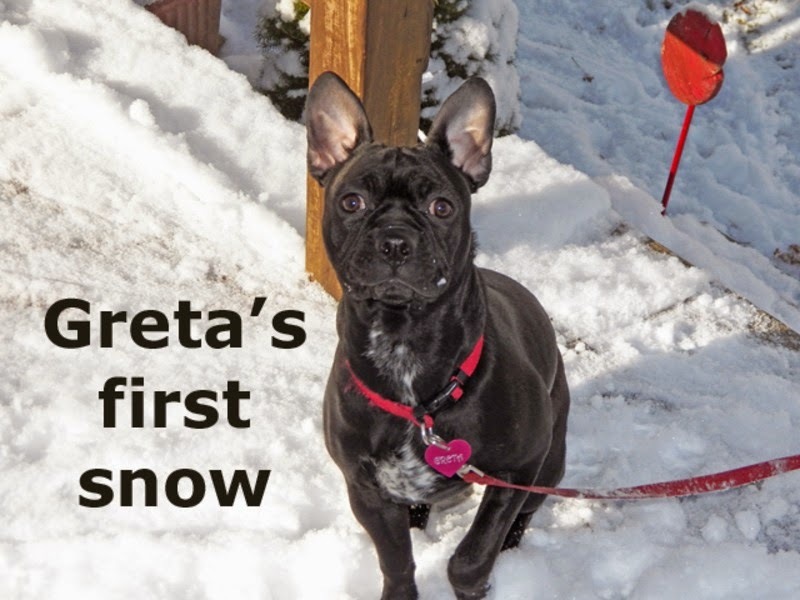 Bella is now called Greta. Here's a Cute Video of Lang Syne showing off those Cute front toofers. Great job Amanda, you kept them in the loop while Vegas healed from his jaw fracture, you did a fantastic job with Vegas and the Glennon Family! Bravo! 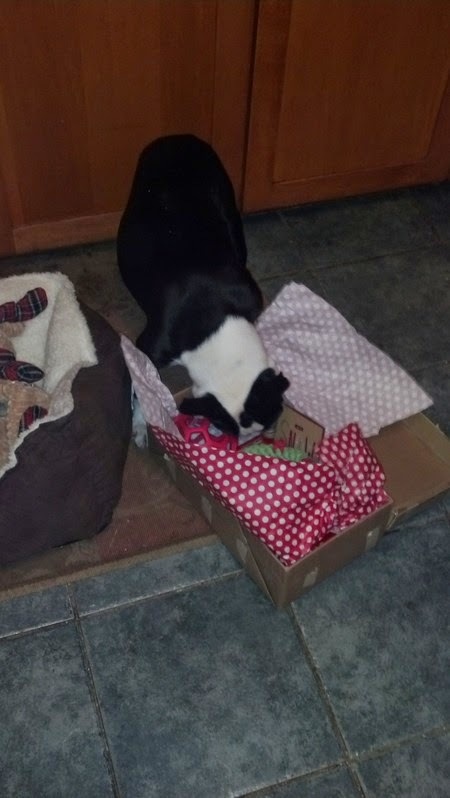 Cupcake wants to thank The Parr family for her Christmas box of goodies. She got them the day she came home from her spay surgery. She is feeling better and is enjoying all the toys. Thanks for making her first Christmas special. 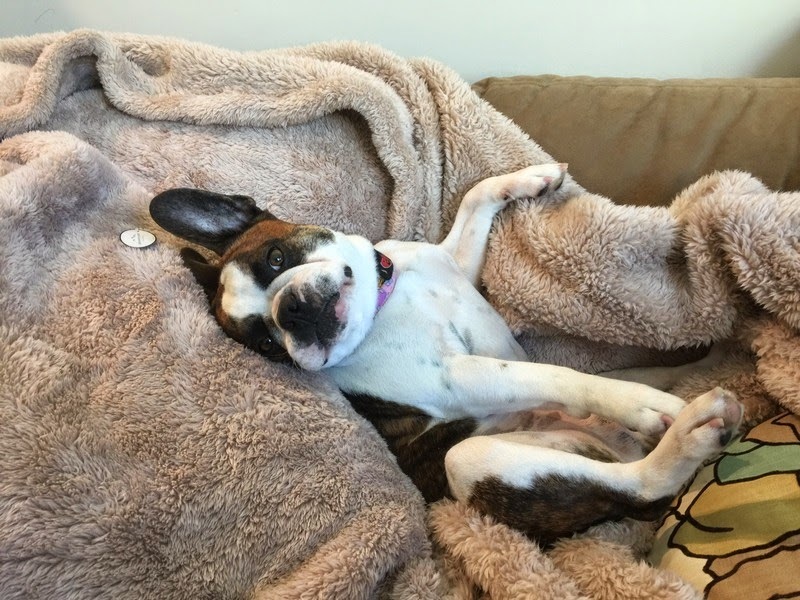 Madison is starting to get cozy in her new foster home. She has the sweetest personality and just loves to follow you around. She's actually started to play with some toys from her welcome package! 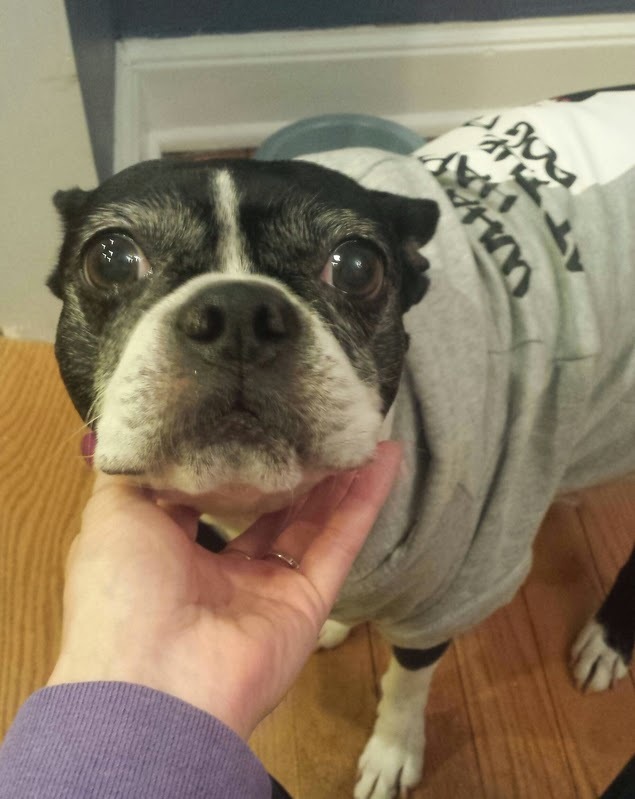 She told me that she really loves the hoodie it keeps her super warm and those bully sticks were delish!! 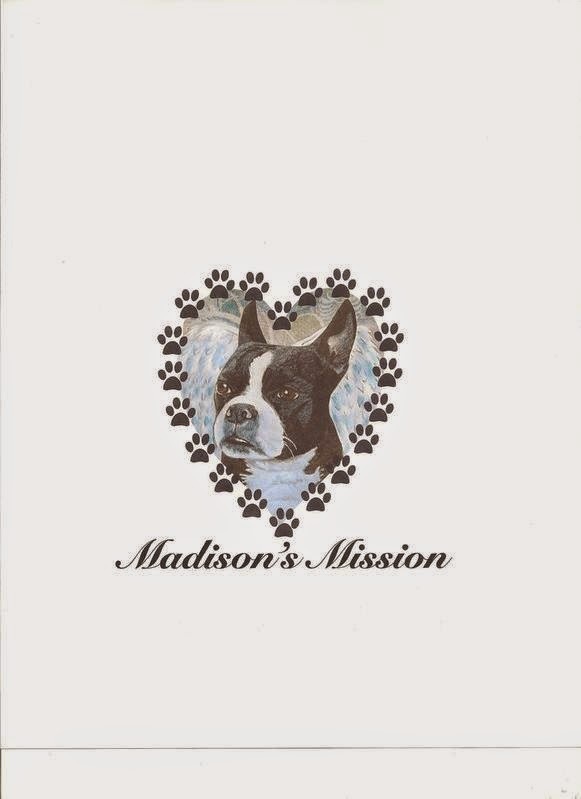 Here's a little more of an update on Madison. I've recieved her vet records and it looks like she is about 8 years old. Plenty of more years and energy to give her new family love! 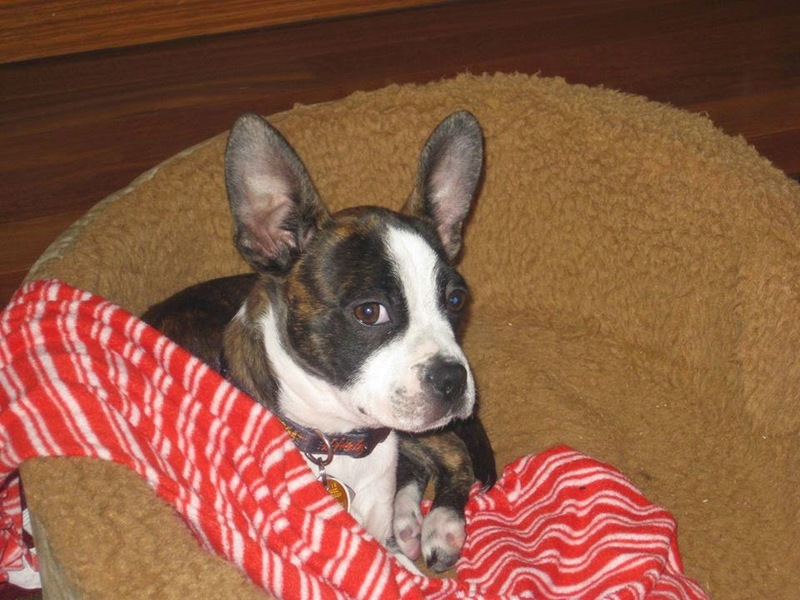 She has a great mix of energy and would do well in a high energy or low energy home. Maddie is also very quiet! I haven't heard a peep out of her yet - no barking whatsoever. Even when her foster sister barks she doesn't. 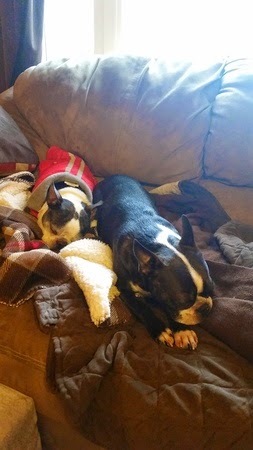 So far she has been getting along fine with her foster sister. She's never snarled or lunged at her. Her vet records stated that she gets along with dogs but has bad greeting behavior by rushing over to see the new doggie. I'll get more experience with this as we encounter other dogs on walks. Special friends this is my new buddy Vegas. His fractured jaw has healed thanks to fosters Amanda & Zach. 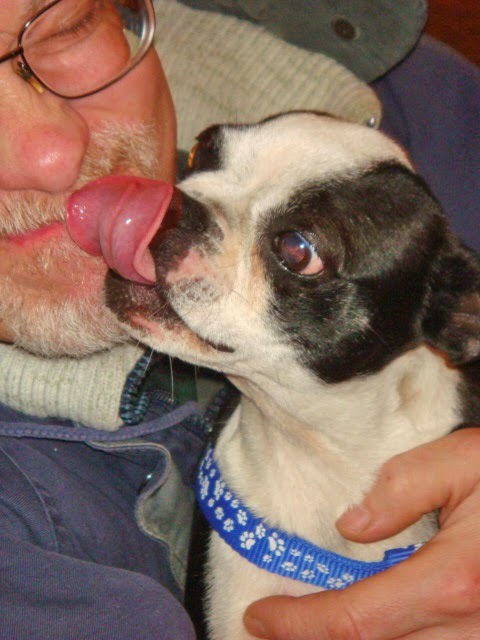 My daddy helped with transport last night and The Glennon Family will now love this kissie bug forever. We just love happily ever after! OOhuggies, I lub you! Please welcome back our little Rosie. She came back today. She was adopted a few month back. Her health problems indicated that it be best for her medically to go back to foster care, so her adoptive family did the best thing for her and she is now back with NEBTR. Her wardrobe grew while she was gone lol. We are looking forward to show it off. 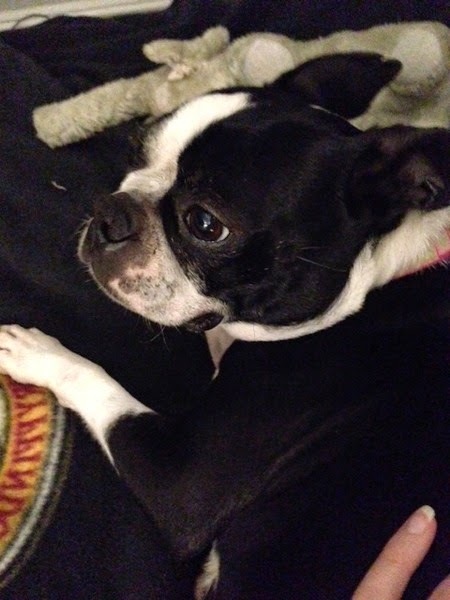 For now Miss Rosie is testing and getting reacquainted with her home and her fur brothers and sister. 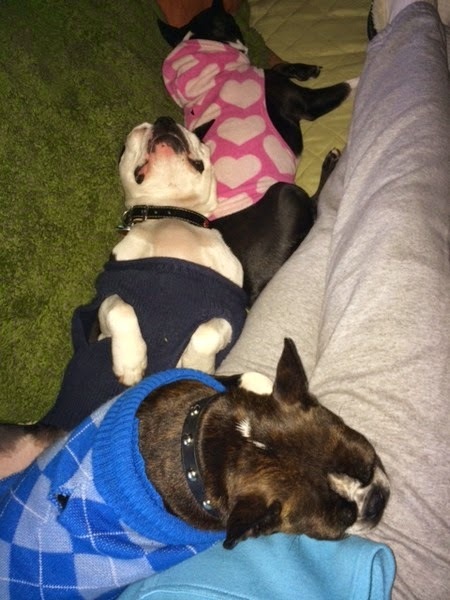 Dolly, Spot, and Grimm crashed on the couch keeping me warm this lazy, rainy winter day. 2015 started off wonderful!! 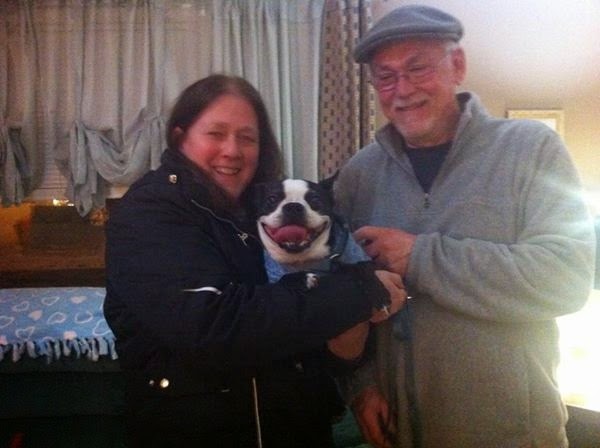 Samson was adopted. This poor scared puppy mill boy when he came here, became very brave. He did great and his new mom is very happy. He is warming up to them and cuddling on the couch. What more could a foster mom ask for. Happy new year! !